Also known as “The Cradle of Liberty,” the city of Boston has played a pivotal role in American history for centuries. From its original Puritan settlement days to the heartbeat of the American Revolution to the influx of Irish immigrants in the early 1800s, Boston is rich with historical and cultural treasure. The question is not what to see, but how to see and do it all! Fortunately, Odellia Fisher, founder of *Take OFF Travel, has compiled the ultimate 4-day itinerary for Daytripper365, whether it’s your first visit, traveling with kids or have some time to delve deeper-- she’s got you covered. Make sure you see all the sites with a guided tour! Boston features a variety of tour styles – something for everyone! Odellia recommends: Boston Segway Tour, Hop On Hop Off Tour, and Free Tours by Foot. Perhaps the most fun (and crowded) weekend to visit Boston is “Head of the Charles” weekend. This regatta is known as the most famous crew race in the United States. This year’s dates are Oct 21-22nd so book your hotel early! Boston is a wonderful city for art lovers. Consider a visit to the Boston Museum of Fine Arts, Isabella Steward Garden Museum, or the Institute of Contemporary Art (ICA). More eats from Odellia: What’s vacation without a little indulgence? Sweet Bakery is known throughout Boston as the top stop for cupcakes, cakes, and coffee. With locations in Boston’s Back Bay, Downtown, Beacon Hill, Harvard Square, and Chestnut Hill, you’re sure to see this sweet stop along the way. Boston Burger Company is another don’t miss. This hip spot features some of the best burgers in town, and an excellent selection of craft beers accompanied by local art and cool tunes. If it’s seafood you crave, you can’t go wrong with Neptune Oyster or Select Oyster Bar. Where to Stay: There are plenty of places to bunk up in Beantown. A few favorites include the Fairmont Copley Plaza, Marriot Copley Plaza, and Lenox Hotel, all centrally located in the historic Back Bay area, steps from the Boston Public Library, Beacon Hill, the Freedom Trail, and Newbury Street. I like to splurge at the elegant Four Seasons Boston, overlooking the city’s historic Public Garden or at the Kimpton Battery Wharf. Fun at Faneuil Hall: Built in 1742 by a well-to-do Bostonian who gifted the center to the city, Faneuil Hall is so much more than a marketplace. Full of fun shops, restaurants, and street entertainers, you can’t help but feel the history. Susan B. Anthony and Oliver Wendall Holmes delivered powerful speeches here, and the hall was a common meeting place for the likes of Samuel Adams and George Washington. While you’re there, make sure to take in historic Quincy Market. This National Landmark was once the main grocery source for Bostonians. An add-on to Faneuil Hall, Quincy Market was built on top of an area of the Boston Harbor that builders filled with dirt. Seafood, Eat Food: Satisfy your craving for Seafood at McCormick & Schmick’s Seafood – Faneuil Hall, absolutely the freshest seafood around, the menu is updated twice each day to highlight incoming catches. Duck: You haven’t experienced Boston until you’ve done a Duck Tour. You can catch the tour at Faneuil Hall! Climb aboard a W.W. II style amphibious landing vehicle for a narrated tour that traverses both land and water. Stops include the Prudential Center, Museum of Science, and New England Aquarium. Depending on your departure location, you’ll see famous landmarks including the Boston Commons, Beacon Hill, the State House, Bunker Hill, Faneuil Hall, King’s Chapel, Trinity Church, and so much more. Plus, you can beat the views of the Boston and Cambridge skylines from the Charles River. Tickets may be purchased in advance online, via phone, or at a Boston Duck Tour ticket booth. From History to Science: Step off the boat at the Museum of Science, one of the world’s largest science centers. The museum features more than 700 interactive science exhibits including a Butterfly Garden, dinosaur exhibits, the Hall of Human Life, space displays, and the Yawkey Gallery on the Charles River. Space explorers won’t want to miss the Charles Hayden Planetarium; the most technologically advanced digital theater in New England. The World Is Your Oyster: Unbelievable treasures abound at nearby Union Oyster House – America’s oldest restaurant! Established in 1826, this National Historic Landmark is housed in a building dating back to the Pre-Revolutionary days. Seafood is the name of the game, but Union Oyster House also offers a full kids’ menu for the less adventurous eaters in your party. Reservation recommended. Walk It Off: Walk off your meal with a promenade around Long Wharf! This historic pier used to extend a full half-mile into Boston Harbor. You won’t have to walk quite as far today, but you will get a great view of the harbor. They’ll Never Take My Freedom: Start your day with a walk through history on the 2.5-mile Freedom Trail. Follow the red line to see historical sites such as the State House, Park St. Church, Granary Burying Ground, King’s Chapel, the Old South Meeting House, the Old State House Museum (where the Declaration of Independence was signed), the site of the Boston Massacre, and more. Shopping: From the Freedom Trail, make your way to Newbury Street – a full mile of shopping heaven, featuring high-end boutiques on a beautiful, tree-lined street in Boston’s Back Bay. (Shoppers might also take a moment to check out the shops at nearby Copley Plaza, Prudential Center, and Boylston Street.) Charles Street is also home to some charming stores with a real Boston feel. Don’t Clam Up: All that walking burns big-time calories. Replenish at Joe’s American Bar & Grill, home to the best clam chowder “bread bowl” in Boston. Go Green: From Joe’s, make your way to the Boston Public Garden to take in the first public botanical garden in America. This Victorian style garden features unusual plants, a lagoon, monuments, fountains, and more. Your kids will love a ride on the Swan Boats (open mid-April through mid-September) – the 15-minute tour is inexpensive and a major memory maker. Nothing Common Here: Boston Common is the oldest park in the United States. This 50-acre landmark also includes the Central Burying Ground, featuring the gravestones of some of America’s first heroes, including Boston Tea Party participants and Revolutionary War soldiers. Peanuts and Cracker Jacks: From one park to the next, go behind the GREEN MONSTER! It doesn’t matter what team you root for; you can’t visit Boston without a stop at Fenway Park. 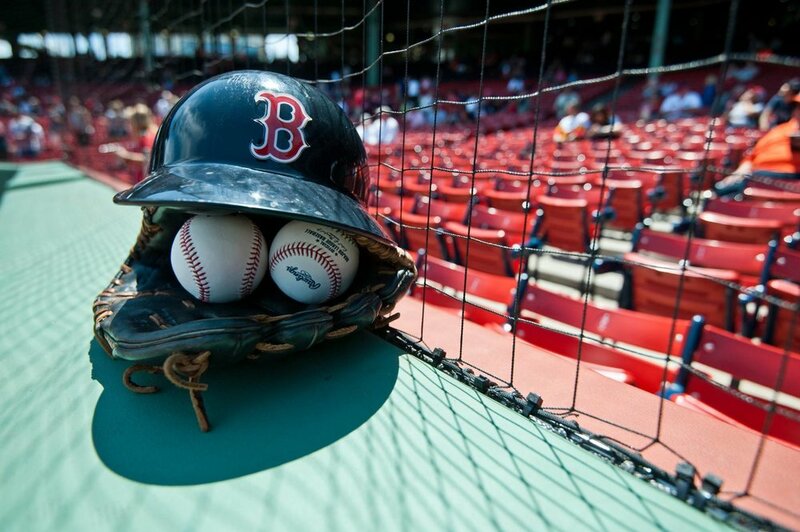 The oldest and most historic park in Major League Baseball, Fenway has been home to the Red Sox since 1912. Visit in the spring and take in a home game; tours are available year-round and depart at the top of each hour. Tickets are available online. Dine in Style: Enjoy a tasty, seasonal, and locally inspired dinner at Alden & Harlow, a modern, subterranean American restaurant. Reservation recommended. Give It the Ole’ College Try: Tonight’s post-dinner stroll takes a turn for the collegiate, at Harvard Square. A place of history, books, ideas, and learning, Harvard Square is full of bookshops and coffee houses, eclectic shopping, street performers, and public art. The Redcoats Are Coming: Before you pack your bags and head home, it’s back to the Freedom Trail, this time to tour the North End. Start with Paul Revere’s home, a revolutionary experience including exhibits, a museum shop, and three landmark properties open for tour. One if By Land: The next stop is the Old North Church and its steeple, which held the two lantern signal that alerted Boston to the approach of the Redcoats. Boston’s oldest surviving church, the Old North Church is open for tours year-round. Spooky Stuff: Located along Freedom Trail on Huff Street, Copp’s Hill Cemetery houses fire-and-brimstone Puritan preachers who participated in the Salem Witch Trials and historical figures including Prince Hall, one of Boston’s first Black abolitionists. That’s Amore: You’ll fall in love with the Italian food in Boston’s North End. A true Little Italy, you almost can’t go wrong with any spot you choose for lunch, but we love Aria Trattoria, Carmelina’s, La Famiglia Giorgio’s, and Giacomo’s. Top it off with something sweet from Mike’s Pastry, a North End tradition and home to Mike’s world famous cannoli. No Taxation Without Representation: See where it all began at the Boston Tea Party Ship & Museum. Relive the event that started the Revolution, complete with interactive exhibits, historical interpreters and artifacts, and a full-scale, restored 18th-century sailing vessel! Guided tours last about an hour. Wet and Wonderful: From the harbor to the sea, your next stop takes you to the world-famous New England Aquarium. Your kids will love the Sea Lions, Harbor Seals, Penguins, Fresh Water Gallery, Thinking Gallery, and IMAX shows. You can also catch a high-speed catamaran to the whale feeding grounds to see these largest animals on Earth in person. Ask Not What Your Country Can Do for You: You can’t leave Boston without a trip to the John F. Kennedy Library. A museum dedicated to our nation’s 35th president, this 35-acre park includes exhibits covering the 1960 Presidential Election, JFK’s inauguration, gifts of state, the launch of the U.S. space program, and more. *Take OFF Travel takes the stress out of family travel planning and helps families make the most of their time together, planning everything from where to go and what to do where to eat and how to get there. From long weekends to school breaks, extended vacations, and even staycations, Take OFF Travel has coordinated vacations all over the world for families with children of all ages, interests, and needs - and we help you plan the perfect vacation for your family too! For more information, please contact Odellia@takeoffconcierge or call 516-514-0685.